Have you ever wished you could track down an old school friend or a close relative that you haven’t seen for several years? Maybe you would like to connect with your childhood sweetheart, or maybe you just feel like doing some of your own detective work. There are endless reasons why you might want to track someone down, and fortunately, there are now companies such as Spokeo which can help you to track down virtually anyone. Spokeo is described as being a “people” search engine, and there is no denying the fact that the service has become immensely popular. However, it is also seen by many as being a highly controversial service, with many people strongly opposed to the company’s business practices. 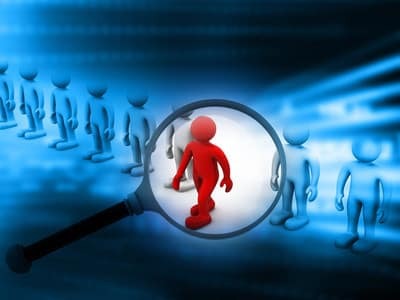 Nonetheless, if you are trying to track someone down, Spokeo people search is quite often the best place to start. Spokeo was first founded in 2006 by a group of Stanford University graduates. Initially, the idea was to create a service which people could use in order to connect with all the various social media sites from within a single platform. Harrison Tang who was one of the founders had grown to be frustrated by the fact that his friends were scattered all across the social media environment. Some were on Facebook; some were on Twitter; some were on MySpace; Flickr and etc. He felt that there was a need for some sort of platform where he could follow all his friends from a single venue, regardless of which social networking sites were preferred by his contacts. This concept was also what gave birth to the name of the company. Tang compared his vision to a wheel with spokes. In short, he believed his concept would allow people to become more interconnected. While Spokeo can today still be used in such a manner, it has become better known as a “people finder” service where users are able to search for people based on usernames; real names; email addresses; phone numbers, and etc. The company essentially uses Deep Web Crawlers to gather all the information they provide to their members when searches are performed. When challenged about privacy violations, the company has argued that they simply gather personal information that already exists in the public domain, and are thereby not breaking any privacy laws. Users reported that when they tried the service, they was actually left speechless. They said they really had no idea just how much of their so called “personal” information is so readily available to anyone who wants it. Many people do not realize just how exposed they actually are. Nevertheless, if you urgently need to find someone, Spokeo could be exactly what you are looking for. Flexible Search Criteria – Users can search by name; email addresses; real names, online usernames and etc. Extensive Data – Very few “people search” services provide as much information as Spokeo does. User Friendly – The site is known to be very user friendly, with help and advice always on hand. Quick and easy enrollment – Signing up for a Spokeo membership account can be completed within just a few minutes, and the process is very straight forward. Reasonable pricing – While some argue that all the information provided by Spokeo is already freely available online, it needs to be said that it could take you several days or even weeks to find all the information Spokeo gives you in a matter of seconds or minutes. They also have to operate and maintain their servers, and data has to be constantly updated all the time. In all fairness, I think Spokeo offers exceptional value for your money. Can be used by small businesses and charities – Spokeo is a really good tool for small businesses and charity organizations that want to target a specific audience. Multiple search options – Users can search by name; phone number; email address, or even by entering a social media username. Multi platform tracking – Unlike many other “people search” services, Spokeo digs really deep. When you track someone down using the service, you quite literally get to see the person’s entire online footprint, including their activity on social media websites, file sharing sites, photo sharing sites and etc. Ability to erase your own footprint – Members are able to request that all their own information be removed from the system. This will not remove personal information stored within the public domain, but it will remove personal information harvested by Spokeo. In other words, once you have made this request, people will no longer be able to use Spokeo in order to track you down or to find information relating to you. Not always accurate – Although Spokeo has an excellent reputation with regards to the accuracy of their search results, some users have complained about inaccuracy. A certain degree of trust required – Some users have reported that they have done a search prior to signing up, and were informed that they need to submit payment in order to see the result. After making payment they discovered the results were not accurate, and that they were then unable to get a refund. Confusion regarding search quotas – A number of users have been disappointed to discover that they are limited to a certain number of searches each month. In all fairness though, the company does actually mention that all Spokeo packages have monthly search quotas, and that unused searches are not carried over from one month to the next. Additionally, if you run out of searches, more can be purchased. Subscriptions seen as misleading – Quite a few users have complained about the way in which Spokeo subscriptions are structured. One of the more common complaints involves people who have cancelled their subscription believing that no further action was required. However, they continued getting billed for a second subscription that they never really knew they had. While the Spokeo website does explain how subscriptions actually work, some people feel that customers are intentionally being misled and charged unfairly. Difficulty obtaining refunds – There seems to be an unusually high number of people who were unhappy with the way in which Spokeo handles requests for refunds following cancellations. While the company does offer a “Money Back Guarantee”, many people have reported that in reality, getting a refund is far from being easy. Spokeo offers various membership options as well as a “single” search option. Using this option, you simply pay per search. They also offer a “standard” monthly subscription and a “premium” monthly subscription. Standard searches only provide users with very basic information such as addresses; email addresses; phone numbers; education; marital status and etc. Premium searches on the other hand offer much more detailed information, including all of the above, as well as public profiles that are available on supported social networking sites. Premium subscriptions also allow users to do reverse phone searches and reverse email searches. At present, name and phone number searches are only supported in the United States. The email search feature on the other hand covers all public profiles that appear on the supported social networking sites. Make absolutely certain that you fully understand how exactly the subscriptions work, prior to signing up. Only spend what you can afford to lose. I say this based on the number of reports I have read where people were unable to get refunds. If you cancel your subscription, make sure there are no other open subscriptions that you might not be aware of. As with virtually all online transactions, a little bit of caution and common sense can go a long way in helping you to avoid problems. Summary Spokeo is described as being a "people" search engine, and there is no denying the fact that the service has become immensely popular. However, it is also seen by many as being a highly controversial service, with many people strongly opposed to the company's business practices. Nonetheless, if you are trying to track someone down, Spokeo is quite often the best place to start.